In October 2006, The Life Center opened Memory Care at Boulevard Place to meet the special needs of individuals dealing with Alzheimer’s disease and other dementias. Special attention is focused on the needs of their families. Innovative Alzheimer’s Memory Care programming enables Residents to achieve the highest possible levels of physical, emotional, and spiritual well-being. One “neighborhood” – providing a comforting, low-stimulus environment. An expansive “Activity Boulevard” serving to engage Residents both cognitively and physically. “Memory Boxes” and display areas throughout the unit which encourage Residents to personalize their living spaces. A private beauty salon and bathing spa for personal care services. A comprehensive, therapeutic recreation program to accommodate the unique, yet dynamic needs of each Resident. Staff who have specialized dementia care training to better understand the disease process and how best to meet Resident needs. Personalized care that encourages each Resident to lead life to its fullest. 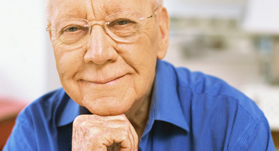 Ever-adapting care for those dealing with Alzheimers and other related dementias.